Justin Bieber copycats are popping up everywhere. 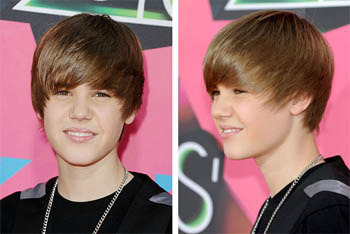 A new hairstyle known as The Bieber is side-sweeping the nation, swiftly becoming the must-have trend of teenage boys! Some salons are even charging up to $150 for the helmet-like cut that includes long, side-brushed bangs. According to reports, 60% of young, male customers ask for The Bieber cut. The style involves long “bangs” that totally cover up their eyes. Another requirement of the hairdo is getting that signature Justin Bieber hair-flip down pat! Because Justin’s not exactly popular among boys (most of his fans are tween and teen girls), many of the guys that go in to get the cut refuse to ask for it by name. Instead, they describe the combed-over 'do with no mention of Justin Bieber. But they want it because the look is so popular with girls right now! 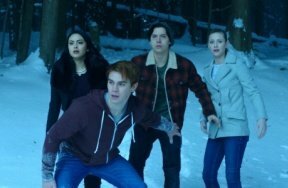 In fact, one Vancouver teen named Tommy Ledger says the attention his Bieber-cut gets him from girls is almost too much! "Girls always play with it in class. It's kind of frustrating sometimes. I'm trying to skateboard and they want to touch my hair." The secrets of Justin's trademarked 'do were revealed in a promo video for MTV's The Diary of Justin Bieber. In the clip (which is posted below), the singer styles his hair using a combination of towel-drying, blow-drying and mussing. He does it quickly and expertly, without the help of a stylist! Are you a guy with a Bieber-cut? Are you a girl who wishes her boyfriend would style his hair like Justin does? Tell us in the Comments section below!